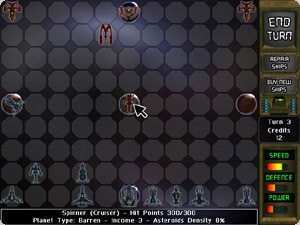 Combining the strategy of chess with the classic arcade shoot'em up. Is that possible? 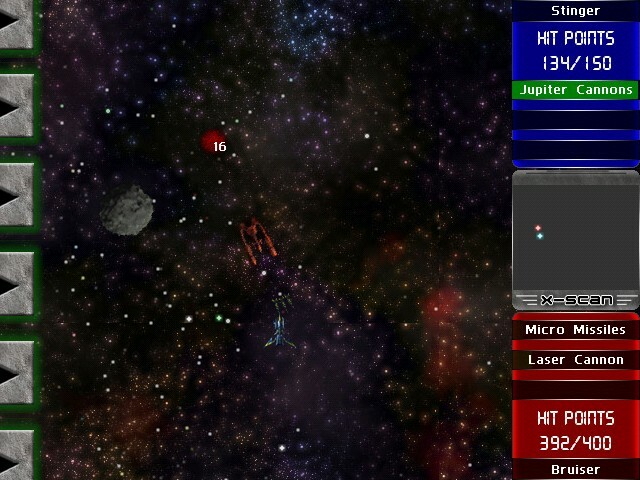 Try it, play Supernova: Galactic Wars! Choose your side: the evil Red Legion with her charismatic leader Tanja or the mystic Blue Army and his Great Council? 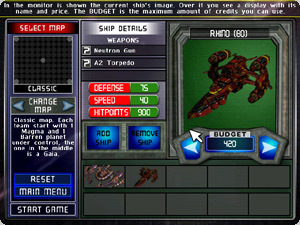 Every side has 10 unique ships, for a total of 20 ships available for you to control. 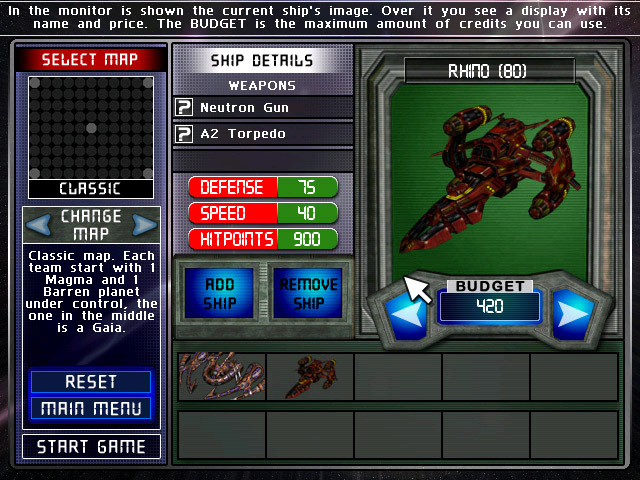 Each ship has up to 3 different types of fire for a total of 26 different weapons! 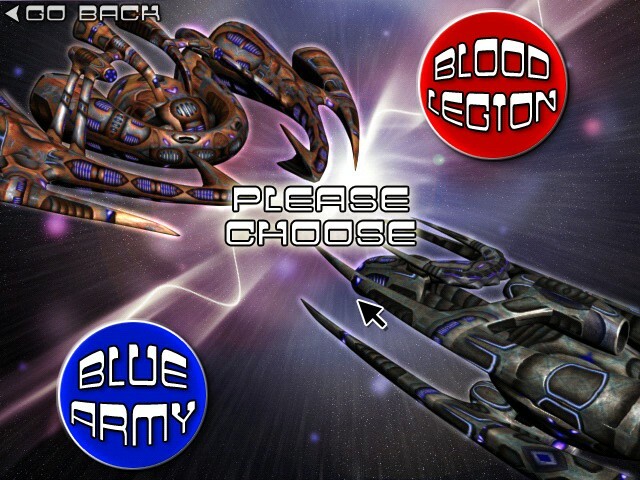 Featuring Story Mode, Quickbattle and Survival Mode (registered users only). In Story Mode you'll lead your faction to the conquest of the galaxy, destroying the opposition. In Quickbattle you'll be able to setup a custom match choosing from 5 different maps (each one with different playing strategy) and build your own fleet ship to ship. In Survival Mode you'll have to take control of the faction Mothership and survive as long as possible vs unlimited enemies. But how is the game played? Easy, you can move your ships on the battlefield like a chess game, and when 2 ships move in the same spot the arcade fun starts! 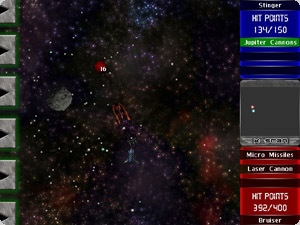 You'll be able to fight against the other ship in realtime, using arrow keys to move and 1,2,3 or Z,X,C keys to shoot! The demo allows you to play up to 3 missions for both sides and to setup Quickbattles with only 150 credits available and using only the smallest ship.